It's been said this is the recipe for a happy life. Wisdom brought you to this point. Our job is to manage and grow your wealth. All you should have to think about is living a long, healthy life. Beyond our pure technical knowledge in these areas, our value proposition is unbiased advice and hard work on your behalf. We believe we’re able to provide advice and services that have less of a bias toward our own interests, and greater alignment with your own due to our independence as a firm, our fiduciary status, and our retainer fee compensation structure. We conceptually and quantitatively visualize your lifelong financial objectives, and devise, execute and continuously update a strategic financial roadmap to accomplish these. We’re not paid to focus solely on one particular area. We’re not trying to sell you a particular product, or trying to get you to do a particular transaction. As fiduciary Retainer Fee-Based Wealth Managers and Financial Planners, we are paid to work with your best interests in mind, and to continuously provide you with advice-based solutions most closely aligned with achieving your financial goals. An intimate knowledge of your needs, wants, and emotions is important to us as we supply the information you’ll need to make life-changing decisions and provide a steady guiding hand to navigate emotionally turbulent times. 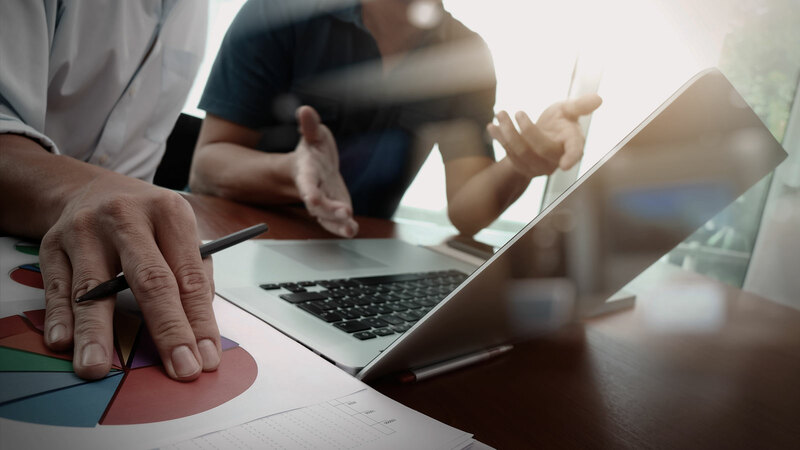 Our wealth management clients demand high-touch proactive service and unbiased objective fiduciary advice, and we are culturally geared to seek to exceed these expectations. Our team-based approach means that while you’ll have a concierge advisor as a primary personal point of contact, your relationship is with our firm as a whole, which gives you direct access to senior management, all of the team specialists, support personnel, informational resources, and ancillary services that we have to offer. We do planning in its truest form, which is a fee basis like an attorney or an accountant, rather than on a commission-dependent basis. We charge a low ongoing retainer fee as opposed to a high one-time fee, which gives us an incentive to continuously help you achieve your financial objectives as opposed to simply providing you with a one-time set of recommendations that never get implemented properly or updated. If at any time you’re dissatisfied with our services, you can simply stop paying your monthly or quarterly fee. There is no contractual term commitment. One of the first things we will do is seek to justify our ongoing fee by immediately conducting a budget analysis to determine all of the areas in which we can reduce your ongoing expenses as much as possible without damaging your standard of living. This will include things such as shopping your insurances and reviewing your investments to find optimal combinations of service/product quality and price, as well as pointing out living expenses that may not be necessary or wanted. We find that the vast majority of the time, the small increase in your expenses imposed by our retainer fee is much more than fully offset by the decrease in your expenses we can achieve by conducting this review. We want to improve your net savings rate, not create another drag on it. At no point during our engagement will you ever question why you are still paying us a retainer fee. We are constantly working for you on your behalf, and we are always looking to be proactive with you and to “move the ball forward." You are not hiring a consultant that will just reactively answer your questions. You are hiring a team of intelligent work horses that will constantly be researching, planning, and implementing on your behalf, pushing you to improve your financial status, and forcing you towards the life goals we help you establish and quantify. For our fee we will develop a financial plan for you and guide you through the entire process, educating you along the way. Once your initial plan is developed, we will guide you through implementation (or do the work for you at your request), and we will continuously review and update your planning on an ongoing basis. We will do financial modeling, analyze coordination gaps, find opportunities, and consider a range of alternatives to improve upon your existing planning, save on income and estate taxes, improve cash flow and savings rates, and guard against unanticipated future headaches. We provide an investment plan implementation program in the form of investment advisory services and in-house portfolio management for which we will also be compensated if you choose to implement any of the investment planning through us, because we’ve found that if we don’t provide those services, the planning often will not get implemented properly, or it will be implemented at a cost too high to make financial sense. We believe that your Investment Planning is best implemented by the same firm that developed the planning for you in order to avoid coordination errors, and so that the portfolio management can potentially be provided at lower cost than if it had to be purchased from a third party. This makes it easier for you to implement and easier to get the synergistic effects of the plan and implementation working together. But the further benefit is that we can provide you with better service because we have control over all the moving parts. Similarly, we can help you with implementing the other aspects of your planning, such as shopping for and facilitating the underwriting of insurance policies, and recommending and coordinating with attorneys, accountants, and other service providers. 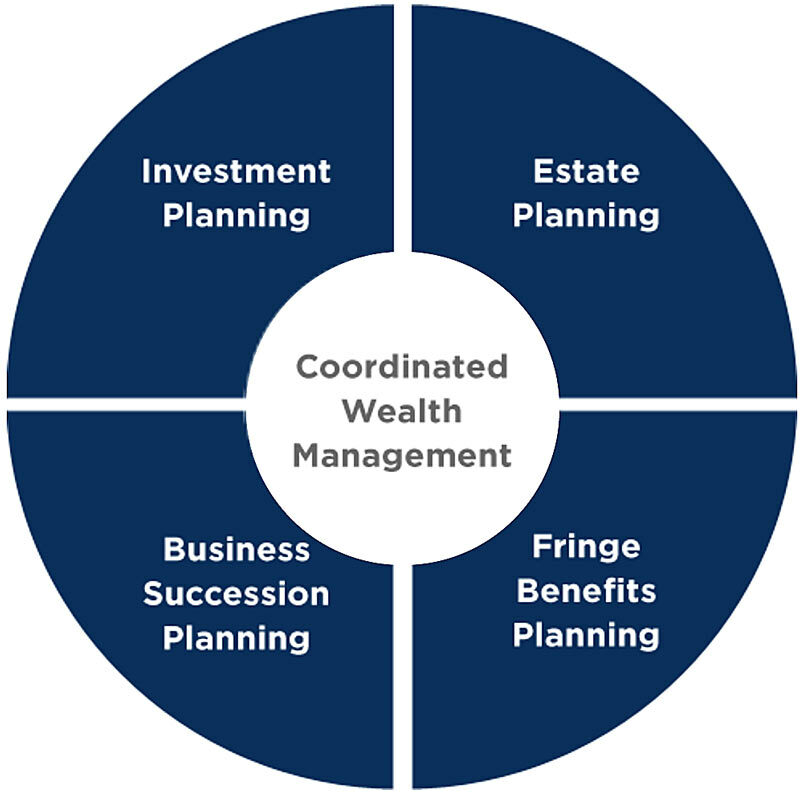 Ongoing fiduciary advice related to Investment Planning, Fringe Benefit Planning, Estate Planning, and Business Succession Planning. A main service line for immediate assistance so you can get a live person on the phone when you need them. Detailed recommendations, analyses, research, and planning roadmaps to instruct you on the specific actions required to achieve your financial objectives. Labor on your behalf: We will do as much of the legwork as possible to move you closer to your objectives, allowing you to offload much of what would normally fall completely on your shoulders. Ready to Build Your Financial Future? The final result of our work on your behalf is the creation of a more secure financial future for you and your family.